What’s travel without airlines screwing you. On June 30th Sarah, her folks and I flew out towards Buffalo for a family memorial and reunion in Columbus, Ohio. The plan was to nip over the Canadian border to see mum and my neices for Canada Day and then drive to Columbus on the 2nd. They flew JetBlue, we flew United Airlines. We should have flown JetBlue. Two months ago, United’s tickets were $20.00 cheaper than JetBlue. The savings! But then the day before our flight United tells us our checked bags would cost $25 each. The tossers! Always one to screw the system in retaliation for small print, we asked Sarah’s parents to carry our checked bags for us on JetBlue – JetBlue checks bags for free, don’t’cha know. 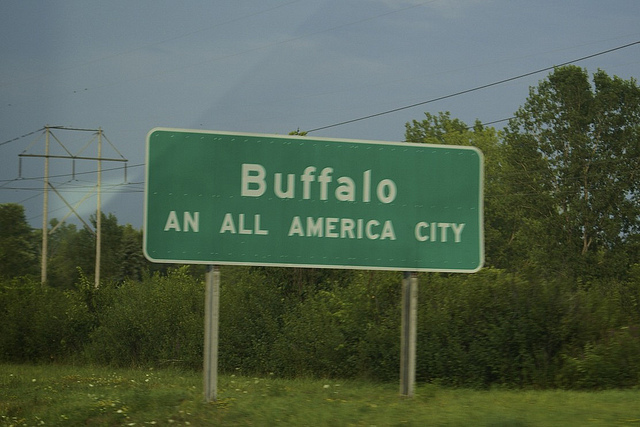 Mark and Marcia arrived safely in Buffalo. We didn’t. On our connection in Dulles, Washington we saw the airline euphamism for ‘Dear valued customer, we’re about to screw you’. “Technical Delays” should not happen to aircraft, and if they do, airlines should be honest about them. I did a contract to help a Canadian airline’s maintenance department be more efficient… wow did they need help. It taught me what really goes on behind the scenes, why tickets cost so much, and how a well maintained airline should rarely have technical delays. United Airlines had 8 ‘technical delays’ within 24 hours. I mean, don’t promise a “1 hour delay” up until the 55th minute only to then announce it will be another 2 hours. Expectedly, after another 1hr 55 minutes we were told the flight had been cancelled. Ironically, our bags would have arrived in Buffalo had we sent them with United – while the flight with people couldn’t take off, the flight with baggage took off just fine. “While at the airport, never leave your baggage unattended [unless we shipped it here without you]”. Tossers. Our JetBlue cohorts waited patiently in Buffalo with our luggage and our Canada day plans were ruined. When being screwed by airlines, always ignore the desk agents and call the airline’s customer service line directly. Demand to speak to the Director of Customer Relations immediately! 3 hours and $178.00 of roaming charges later I had my ‘justice’. A flight to Columbus later that day, a hotel room for all four of us, a (heartfelt?) apology from the airline, and the knowledge that what the airport desk agent told us he couldn’t do, the Director of Customer Relations could do. I’m fairly sure the desk agents are just paid to say “No”, “Sorry” and “The system won’t allow me to do that”. Always be a squeaky wheel and escalate your frustration up the customer service food chain. Oh, and the flight to Columbus that they moved us to departed an hour late as well. United Airlines. Tossers. Luckily my GPS was in my checked bags. Sarah’s folks navigated straight to Columbus and we met up a day earlier than planned.